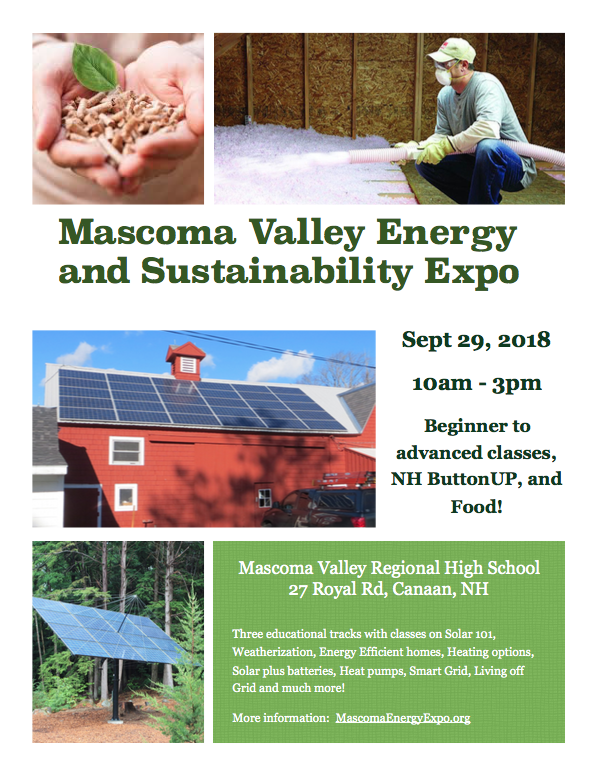 LES September Newsletter - It's Gonna be a Busy Fall for Energy in NH! 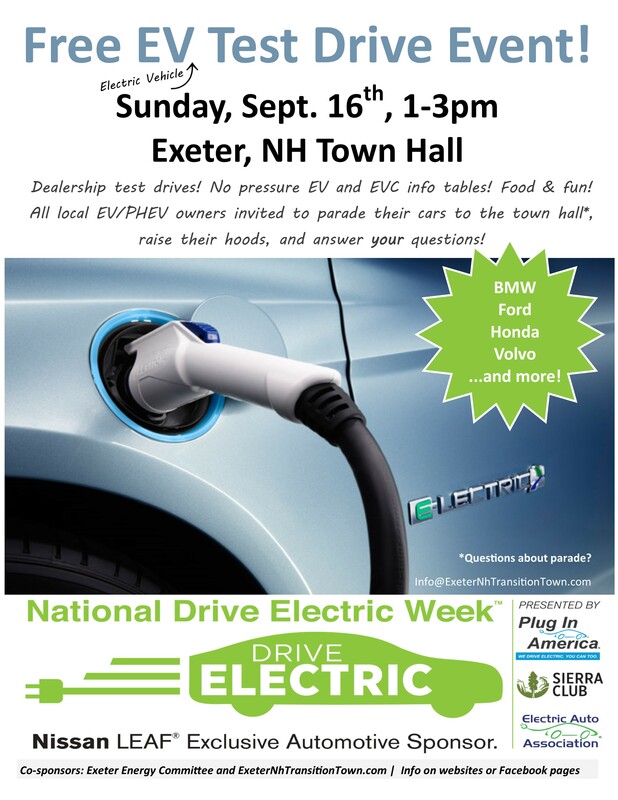 -House Speaker Gene Chandler: "Biomass & Net Metering Help NH"
-Drive Electric Week! 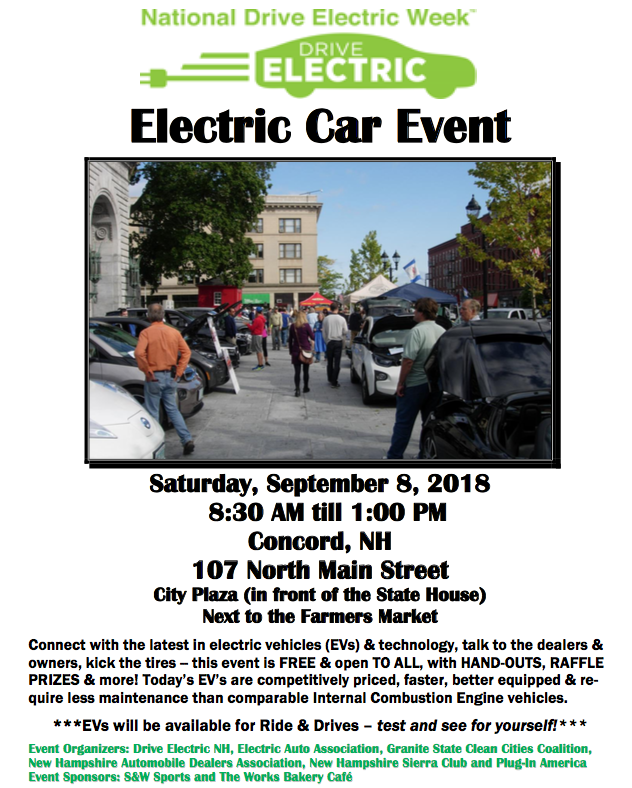 Six Events Across NH! (aka, Community Choice Aggregation)? 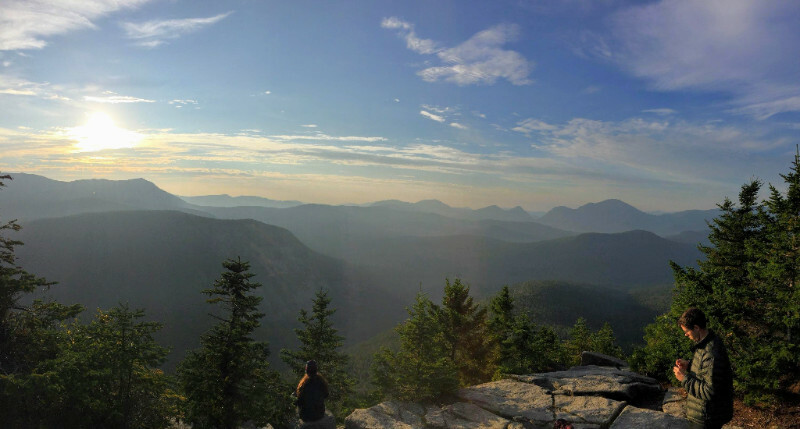 Check out this great report by the University of New Hampshire. 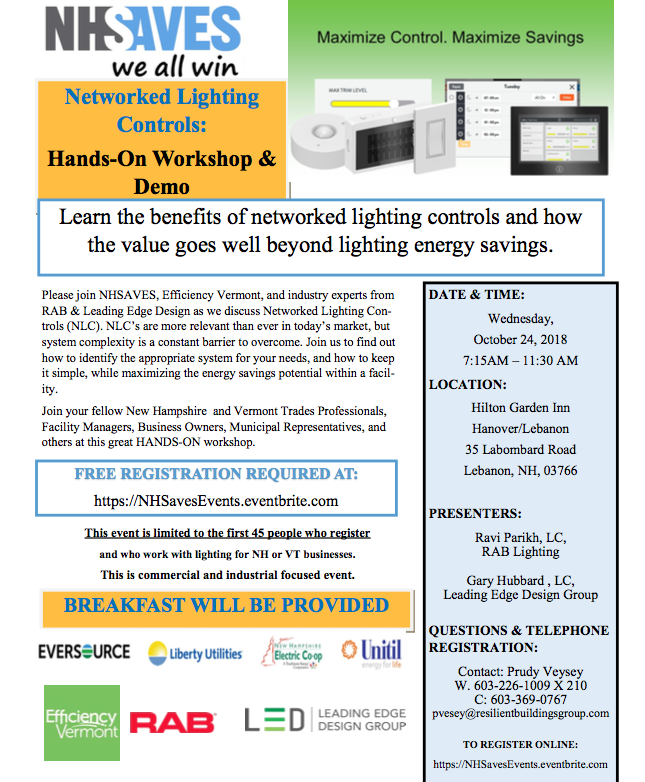 Save the date for Friday, November 16th, and click here to register to attend the tenth annual Local Energy Solutions Conference. As a result of many new efforts to reduce energy consumption¸ the Littleton COOP has reduced per square foot heating costs by a whopping 44%! It also reduced its electricity bill by 39%! Some of these fuel savings resulted from some pretty standard procedures such as deep insulation in walls and roof along with triple glazed windows. Converting to LEDs (light emitting diodes) reduced the electric bill. 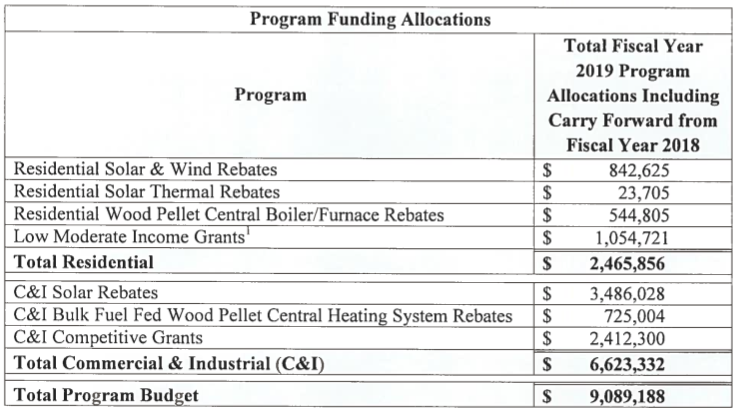 But efforts to reduce energy costs did not stop there. Read more here. 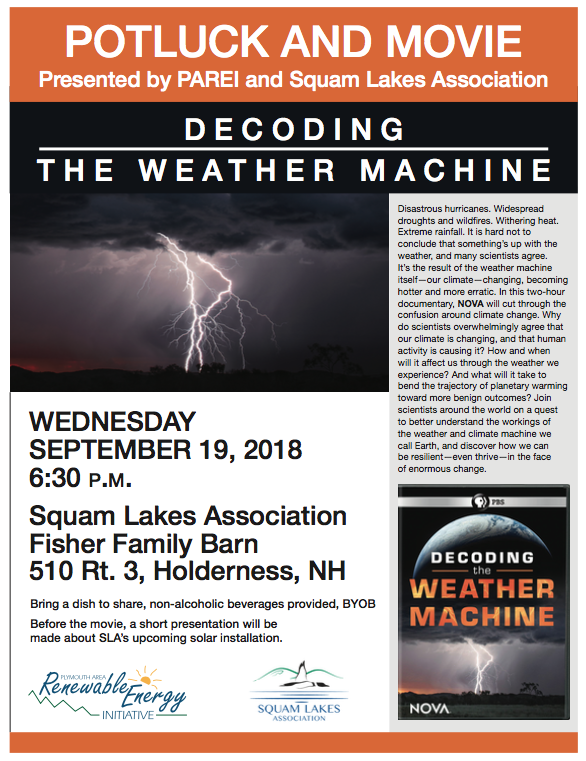 The Squam Lakes Association (SLA) in Holderness, NH will be covering most of the south-facing roof of their headquarters building with a 33kW solar PV system. The solar energy produced on site will provide 100% of the annual electricity used in the offices, workshop, gift shop and meeting rooms. Read more here. 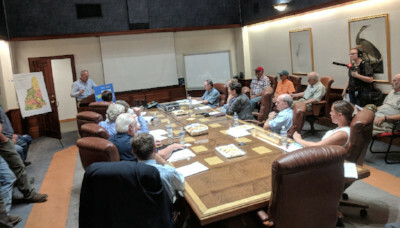 Legislators, timber workers, and energy professionals gather at Monadnock Paper Mills manufacturing facility urging legislative action to override vetoes of SB 446 and SB 365. Read more here. 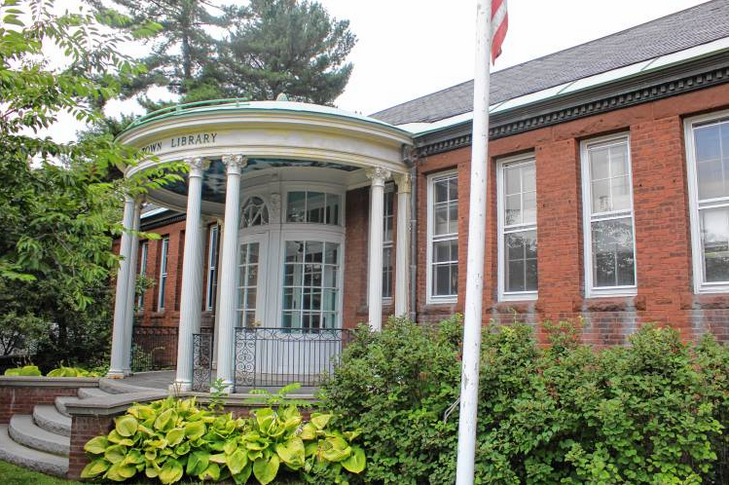 The Peterborough Town Library has secured a $300,000 grant for a wood pellet boiler to be installed during the renovation of the space. The boiler will be used both to power heating and cooling in the building, the first of its kind in the country to be used for cooling, according to Peterborough Town Administrator Rodney Bartlett. Read more here. 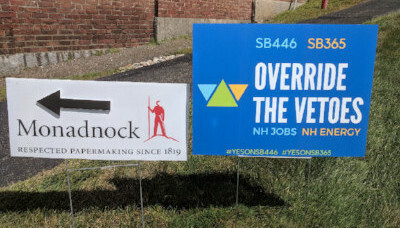 Republican Speaker for the House Gene Chandler makes the case for overriding Governor Sununu's vetoes of two bills that would support and expand NH-based energy resources. Read more here. Governor Sununu recently vetoed two bills that would benefit New Hampshire's local renewable energy economies. Communities across the state are rallying to express their support for a legislative override of these vetoes. 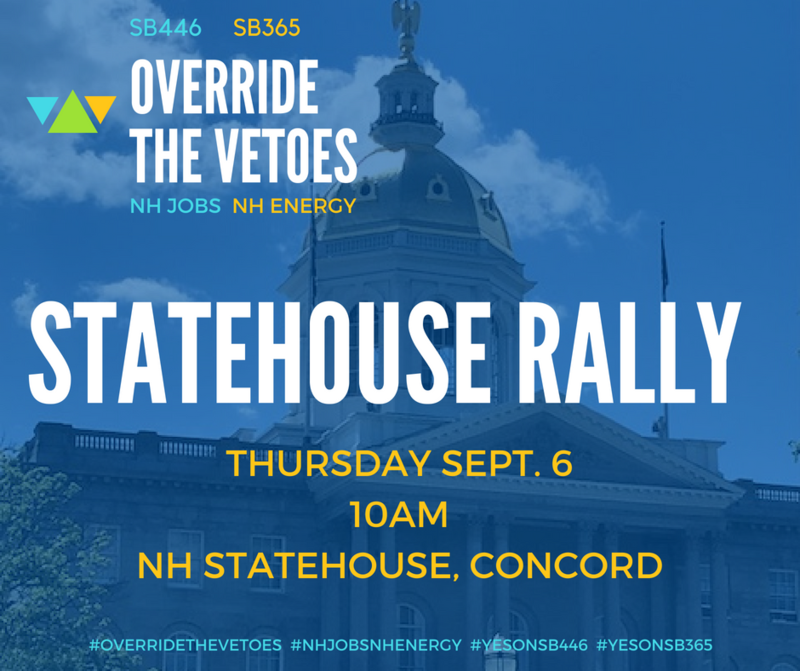 Join fellow NH energy professionals and local energy leaders this Thursday, September 6th at 10am on the Statehouse Lawn to show your support for smart, NH-based energy policies. 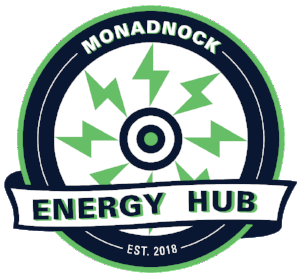 Download Fact Sheet for SB 365 and SB 446 here, and contact your legislators to voice your support NH's energy economy. 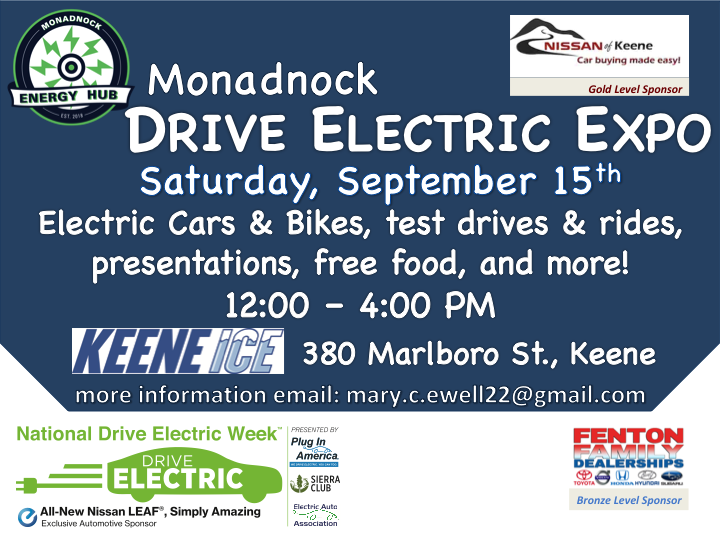 See fliers below for events in New London, Keene, and Exeter. Kearsarge Climate Action is a group of concerned citizens with a primary focus on the environment and climate change. The group will be a monthly meeting, starting September 13, 12:30-2 pm, Tracy Memorial Library, 304 Main St., New London, NH.